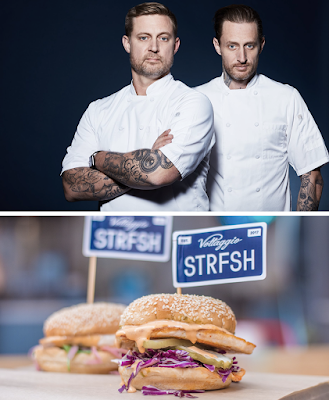 Rumors are swirling that the highly-respected Voltaggio brothers, who came to fame after facing off on the finals of Top Chef, will be bringing a location of their newly minted STRFSH fast casual fish sandwich concept to San Diego. Brothers Bryan and Michael Voltaggio rose to culinary stardom after appearing against one another on the finals of Bravo's Top Chef Season 6, but both siblings have since become star restarateurs. Last year, the duo teamed up to open STRFSH at the recently revitalized food hall, The Gallery, in Los Angeles' Santa Monica. STRFSH presents a menu featuring sustainably sourced, freshly-grilled swordfish and salmon, along with a rotating roster of house made rubs including jerk and Old Bay as well as condiments such as cucumber mint yogurt and yuzu kosho mayo. All sandwiches are made to order and served on a toasted potato roll or tostada. STRFSH additionally features natural cut and lightly salted boardwalk-style fries, a mid-Atlantic beach staple and perennial favorite of the Maryland-born chefs. 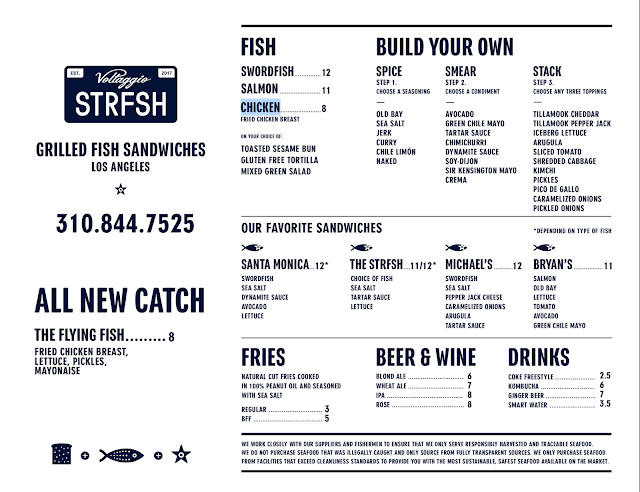 "STRFSH is our idealized version of fast, casual fare," says Chef Michael Voltaggio. "We are offering sandwiches that are fresh, simple, and healthy, but at the same time we're giving customers a chance to get completely creative with our various rubs, sauces, and toppings." STRFSH is the brothers' second collaboration, as the duo recently opened Voltaggio Brothers Steak House at MGM National Harbor just outside of Washington, DC in Oxon Hill, Maryland. In addition to their shared restaurants, Bryan Voltaggio is the executive chef and owner of a portfolio of restaurants including VOLT, Lunchbox, Family Meal, RANGE, and AGGIO. Michael Voltaggio is the chef and owner of ink.well, (formerly ink.) and the artisanal sandwich concept, Sack Sandwiches. The brothers debuted their third collaborative project, Monger by The Voltaggio Brothers, in Miami in early 2018. It's believed that the Voltaggio's will open at least one STRFSH location in San Diego, expected to enter the $15 million rebranded version of The La Costa Town Center, dubbed The Beacon La Costa, in Carlsbad, CA. The Beacon La Costa project is owned by Linwood Ventures, which is also the developer behind The Gallery Food Hall is Santa Monica where the flagship STRFSH is located. For more information about Voltaggio STRFSH, visit strfsh.com and check out the menu below.